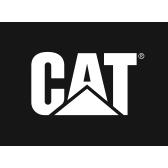 Look athletic while you work in these durable work shoes from Caterpillar. With an Ergonomic Comfort insole, you will stay comfortable while working on the floor. This shoe comes with a built-in steel toe and the sole is slip resistant to ensure your safety.